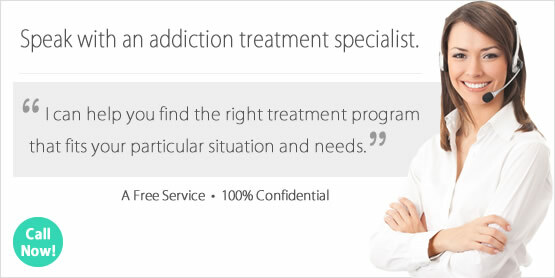 Looking for a Drug Rehab and Alcohol Rehabilitation Program in Massachusetts? If you know someone in Massachusetts who is struggling with any type of drug or alcohol problem, this doesn't make them a failure or lost cause, and drug rehab programs in the state are able to help even the most advanced cases of addiction. When someone won't get help on their own or refuses help, a drug intervention can help get them into a drug rehab program before it's too late. So if you have a loved one who isn't receptive to help, this may be the next step. Before it's too late, speak with a drug treatment counselor in Massachusetts who can explain what the next steps are and possibly help convene an intervention if necessary. They can also help determine which drug rehab in Massachusetts is going to be the most effective, so speak with a drug treatment counselor in the state today. In a single-day count in 2013, 44,133 individuals in Massachusetts were enrolled in some type of substance use treatment, which was a significant increase from 36,815 individuals in 2009. Among those in drug rehab for treatment in 2014 in Massachusetts, 46.6% were in treatment for drug use only, 14.4% were in treatment for alcohol use only, and 38.9% were in treatment for both drug and alcohol use. The most significant drug problem by far is opiate addiction and dependence, with nearly 55% of treatment admissions in 2014 stating that heroin was their drug of choice. Another 5% stated that other opiates which would include prescription pain killers, are their drug or choice. So opiate dependence in general is a devastating and crippling problem in Massachusetts. Alcohol abuse and addiction are the 2nd most pronounced problems in the state, with about 424,000 individuals aged 12 or older being dependent on or having abused alcohol within the past year prior. Of the residents who were dependent on or had abused alcohol, nearly 94% needed but did not receive treatment. Alcohol treatment is accessible however, including in programs which deliver intensive treatment far beyond what traditional 12-step programs are prepared to provide. So when someone hasn't had any luck in AA, which has a very low success rate by the way, alternative and holistic programs in the state can provide a new outlook on their addiction and treatment for it that can provide breakthroughs who haven't had success in treatment in the past. There are around over 300 drug rehab programs in the state of Massachusetts, with several different type of treatment and intensities of treatment to choose from. There are 193 outpatient programs, and it comes as no surprise that 70 of these programs deliver opiate maintenance drugs to clients who are dependent to heroin and other opiates. There are over 17,000 residents taking part in opiate maintenance programs; programs which don't deliver any actual treatment beyond the drugs they administer. These drugs have to be administered daily, otherwise clients go into opiate withdrawal. There are however other solutions in the state, but opiate dependent clients can get discouraged when rehab doesn't work for them and they relapse. So some choose to dose on methadone or buprenorphine instead. Rehab doesn't work when it doesn't appropriately match the level of treatment need of the client and their particular addiction. Heroin addicted clients who only receive outpatient treatment fail because this isn't the right treatment for them, and unless they receive extremely aggressive treatment in a facility that provides a change of environment and helps them make important changes in their lifestyle, they will fail every single time in treatment. So if someone was really going to explore their options and not cop out, they would look into an intensive inpatient or residential facility in the state, of which there are nearly 150 programs available. What does Inpatient Rehab in Massachusetts Involve? There are 32 short term non-hospital residential programs, 94 long term non-hospital residential programs, and 28 hospital inpatient facilities in the state of Massachusetts. Out of the clients participating in such treatment in the state (as opposed to outpatient clients), the most clients are partaking in long-term non-hospital residential treatment services. This comes as no surprise when you consider that such programs have the highest success rates in the state. Clients in inpatient and residential treatment have a stable and drug free environment, with a continuous support structure in place so they can make continuous progress with the least setbacks. Depending on the program chosen, individuals take part substance abuse counselling, behavioral and motivational therapy, family and marriage counseling and other services so they can work on things which trigger their addiction and find ways to better cope with these issues. Inpatient drug rehab programs are also often able to deliver dual diagnosis treatment, for individuals who may also need to address a co-occurring mental health disorder while in treatment. What does Outpatient Rehab in Massachusetts Involve? Traditional outpatient facilities in Massachusetts involve clients in group, individual, family, and marital/couples counseling and some offer a much broader range of services including behavioral modification and motivational skills training. There are some outpatient facilities which can provide services to individuals with co-occurring disorders, and will provide a comprehensive mental health assessment or diagnosis and mental health services. The most intensive outpatient treatment options being day treatment/partial hospitalizations facilities in the state of which there are 32. These facilities often deliver more intensive and specific treatment for addicted individuals who also need to address a co-occurring mental health disorder or other underlying condition.